Hi all. The past couple of weeks have been a bit of a whirlwind on this end. I'm (happily) juggling a small handful of projects, all of which I love, but when I find myself setting a google alert for a shower - well, I'm not particularly proud of that. On the cooking front, for the time being, it means I've had to get quite fast and creative in the kitchen. I'm throwing together meals, mostly from the ordinary staples I keep on hand - brown rice, eggs, whatever vegetable is on hand...And yes, some meals are much more successful that others ;) This Kale Rice Bowl, for example, is well worth mentioning. 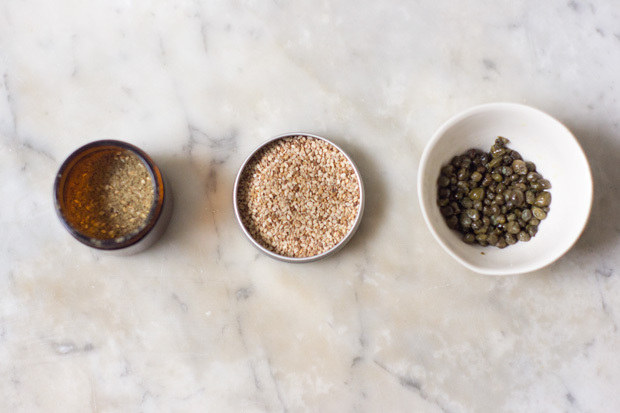 Grains, and greens, and all sorts of goodness going on here. 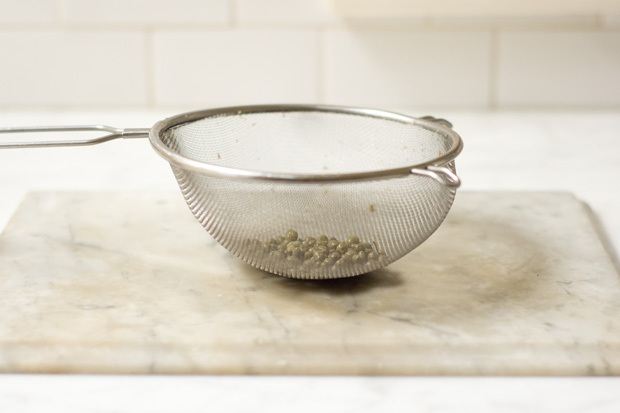 I've been working my way through my last batch of za'atar, and it's part of what makes the bowl special. I used lacinato kale here. But use whatever you like, or even substitute chard.Or how about broccolini? In a large skillet or pot, heat the olive oil over medium heat. Add the kale and a couple pinches of salt. Saute until the kale softens a bit and brightens, just a minute or so. Stir in the rice, and cook until the rice is hot. If your rice is on the dry side, you might have to add a small splash of water. 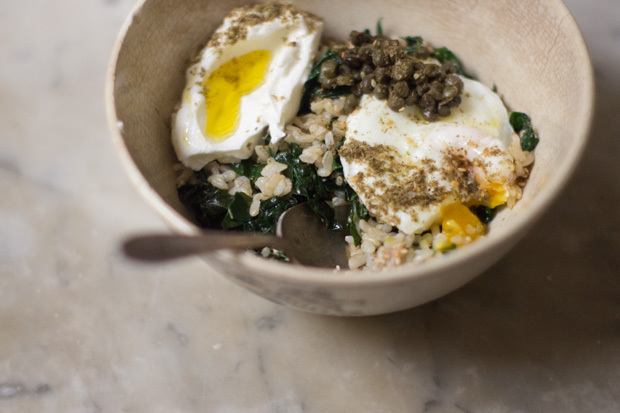 Serve the kale rice topped with (preferably) all of the following: the capers, poached egg, yogurt drizzled with olive oil, and plenty of za'atar.